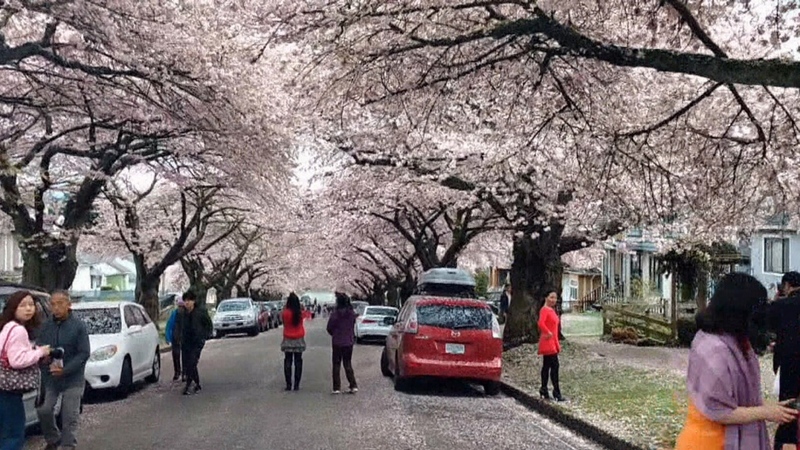 A normally quiet Vancouver street becomes a traffic hazard come spring time, when thousands of people gather to see the blooming cherry blossom trees for a few weeks every year. It’s a common scene for residents on Gravely Street: crowds gathered underneath the wide canopy of mature cherry blossom trees that line the street, taking picture after picture until they get the right one. 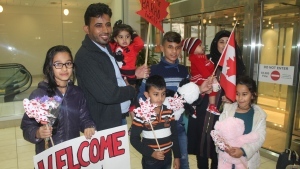 “This is one of Vancouver’s greatest treasures,” Iputu Jaya told CTV News, who travels to the street every year. But the sightseers are starting to create a problem. Resident Lele Chan said the crowds are getting out of hand lately, with people’s actions not only potentially damaging the trees but also private property. “We love that people come admire the trees, but don’t go grabbing branches off the trees and try to make it rain on purpose with the petals,” Chan said. She also sees people climb up the large trees, trying to get the perfect angle for their selfie and block traffic by sitting in the middle of the road. Some groups even walk through her front yard or climb onto cars. The crowds have even brought in City of Vancouver bylaw officers, who drive through streets to keep things calm and ticket vehicles parked illegally. The officers aren’t hindering the crowds, however, with people continuing to show up year after year to see the blooms. 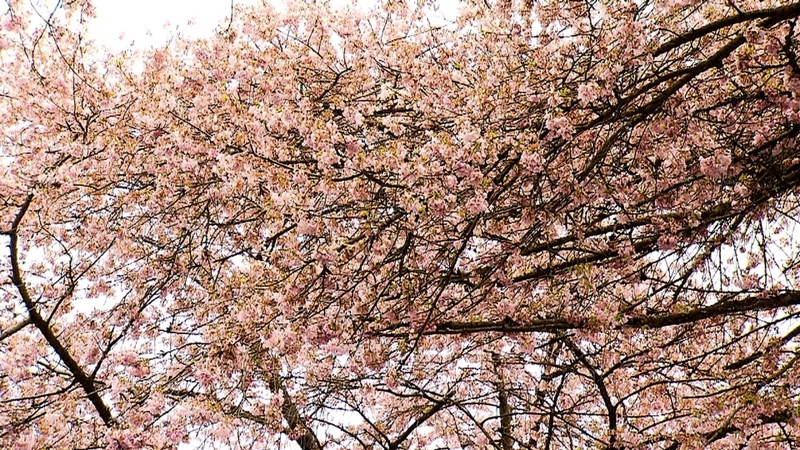 There are at least 40,000 cherry blossom trees across the city with various festivals and events planned around their blooming period, which only lasts a few weeks before the pink petals float away in the wind.